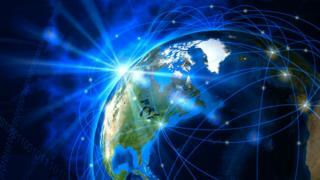 Home / Science / How do you build the next-generation internet? A quantum computer is a machine that is able to crack very tough computation problems with incredible speed – beyond that of today’s “classical” computers. However, qubits need to be synchronised using a quantum effect known as entanglement, which Albert Einstein termed “spooky action at a distance”. Quantum computers will enable a multitude of useful applications, such as being able to model many variations of a chemical reaction to discover new medications; developing new imaging technologies for healthcare to better detect problems in the body; or to speed up how we design batteries, new materials and flexible electronics.